Our team of experienced and certified audiologists performs extensive hearing and balance evaluations. Each evaluation is tailored to meet individual needs and budgets. Providence Hearing Aid Center offers a wide variety of the latest digital hearing instruments including the new mini behind the ear aids and implantable bone conduction hearing devices. Taking steps to improve your hearing can make social interactions with friends and family more enjoyable and can dramatically improve your quality of life. Click here to view our ear, nose, and throat patient education library. Click here to make an appointment with one of our audiologist. Providence ENT offers a variety of payment options to our patients. We accept cash, checks and major credit cards. We also offer financing for hearing aid devices through CareCredit®. Click on the link below to get more information on how to finance your healthcare needs. 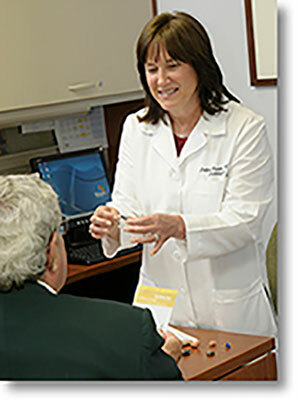 Visit our new Providence Hearing Aid Center website.